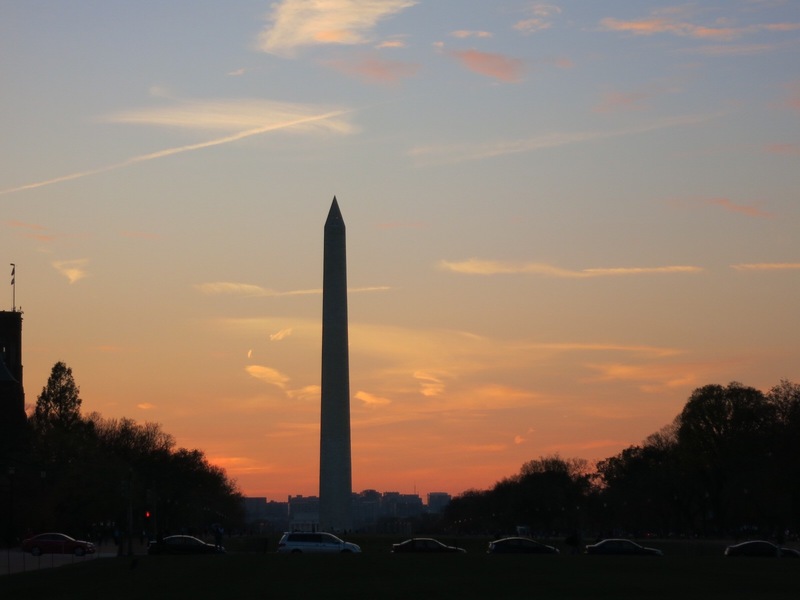 Third Time’s a Charm in DC – Where's JWo? 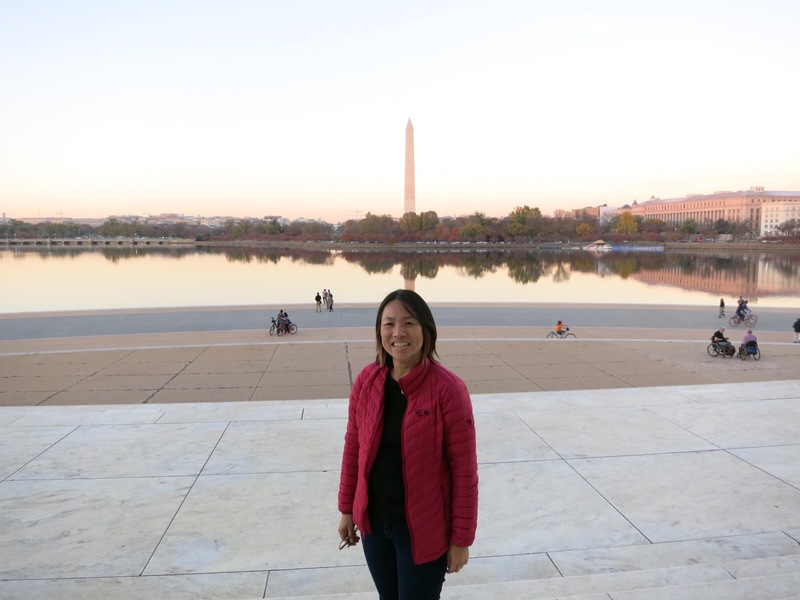 I happily went to Washington DC last month to celebrate my youngest sister’s birthday. We had a wonderful time exploring, geocaching, and eating together. Since I never geocached in DC before I did not realize I was hitting the mother lode. 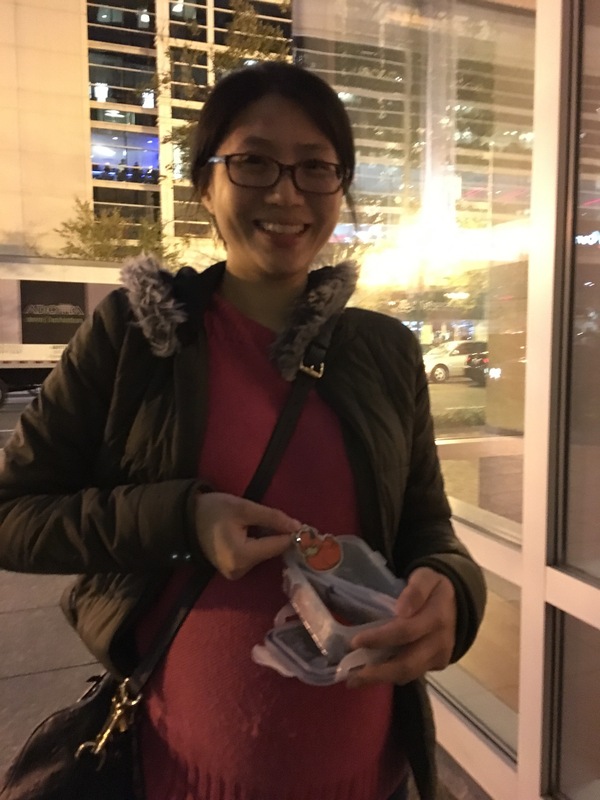 DC is a very walkable city and with such an abundance of geocaches (mostly virtuals and earth caches) you can effortlessly find them just traveling between landmarks. The virtual caches around the National Mall are wonderful ways to learn about lesser known monuments and historic locations. For example, GC6271 (An Englishman in DC) takes you to where the founder of the Smithsonian Institute, James Smithson, is buried at the Castle. It turns out Smithson had never set foot in the United States before he died and it was Alexander Graham Bell who brought his remains here. For those with heartier dispositions, there is a Smithsonian sponsored geotour that starts at the National Mall and spans multiple states. The earth cache descriptions were all too daunting, but I found the traditional cache located at the foot of the oldest tree on Smithsonian grounds GC3QMEP (Elm Tree #1). I am sure I looked very suspicious with the container I removed from and then replaced in the lawn. Across the street is the Smithsonian American Art Museum. I spent an evening exploring the National Portrait Gallery which features paintings of notable figures in American politics and culture. I was reminded of how diverse, creative and talented we can be. The modern art exhibits I enjoyed more than expected. 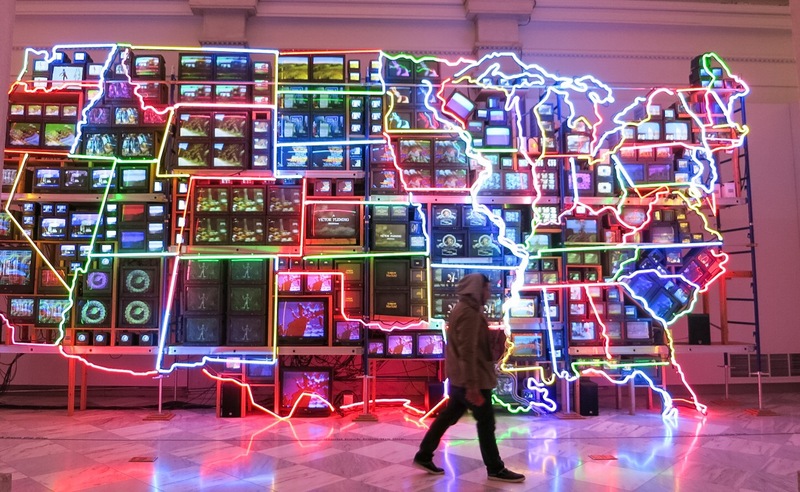 At the suggestion of a security guard, I discovered my favorite installation; a neon map of the United States with active television sets showing scenes representative of different parts of the country. It was visually stunning and thought provoking at the same time. 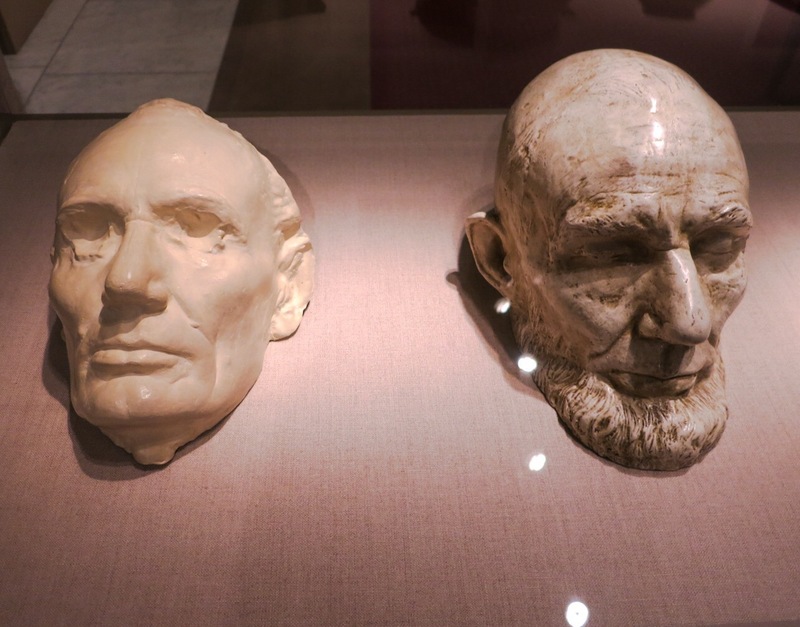 Two life masks of President Lincoln were both haunting and intriguing. Cast only five years apart, they show the tremendous physical toll the presidency and the Civil War had taken on him. You can stop and grab GC5WZR1 (To Cache Or Not To Cache) on the way back to the Metro. It’s a good size for leaving a trackable! My milestone 400th find was GCCA5E (The Lone Sailor) at the Navy Memorial. This memorial depicts various scenes from the sea service in bronze relief. I took the opportunity to remember my Uncle Henry who served in the Navy during World War II. The namesake statue stands near the center of the plaza. After submitting my log mentioning I had seen a similar statue at one end of the Golden Gate Bridge, the cache owner did some research and let me know he discovered there are multiple Lone Sailor Statues scattered throughout the country. Plan a visit to the nearby Newseum. It is not part of the Smithsonian so there is an admission charge. The ticket grants access to the museum for two consecutive days making it well worth the price. I love photography, so I was drawn to the collection of Pulitzer Prize winning photos. 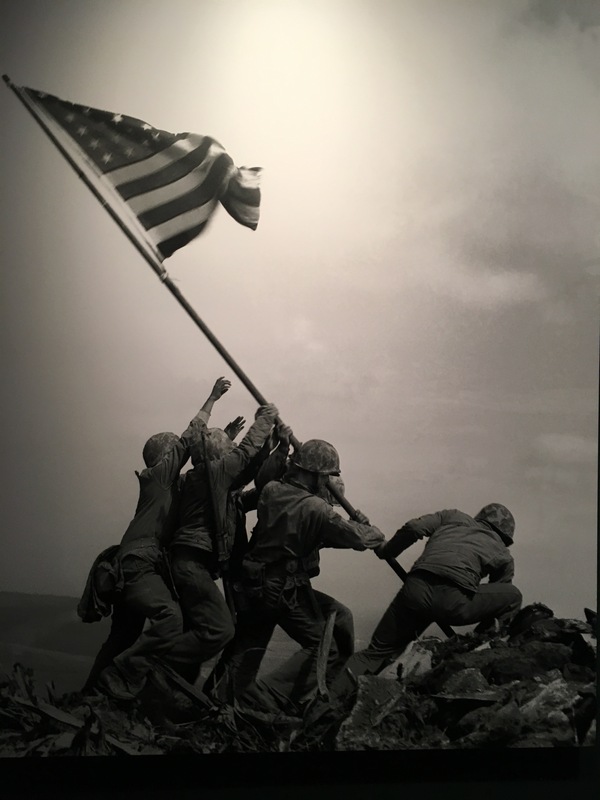 Some, like Joe Rosenthal’s Raising the Flag on Iwo Jima, you will have seen dozens of times before and some you may not recognize. Each one is touching and dramatic. 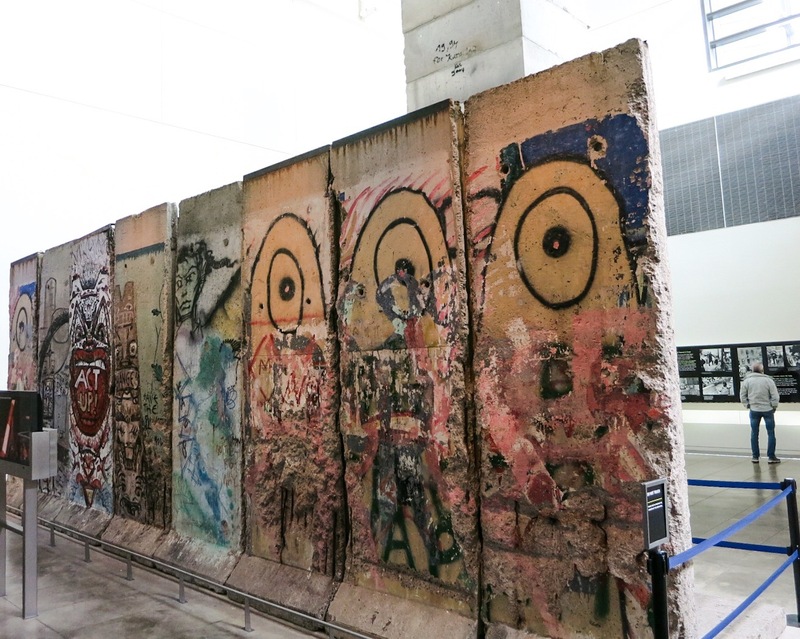 A section of the Berlin Wall is on display with an informative photographic timeline describing the events leading to the wall’s creation and then its destruction. The powerful 9/11 exhibit examines the dissemination of news on that fateful day and pays tribute to the journalists who heroically stayed on the scene to capture the story. 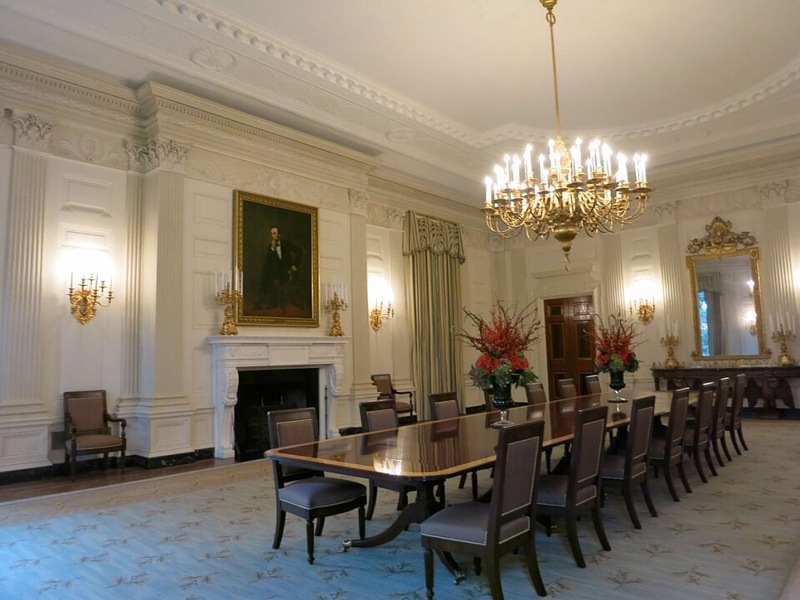 Touring the White House was a dream come true and the highlight of my trip. I was very happy I could visit while the Obamas were still in residence and the experience was even more meaningful because I was able to share it with my sister. The White House was as splendid as I always imagined. I was awestruck and overwhelmed to finally set foot in a place I had dreamed of visiting since I was a child. If you are interested in taking a tour, make sure you contact your Member of Congress to start the ball rolling at least one month in advance of your visit. Be sure to take pictures in front of the White House near the Ellipse. 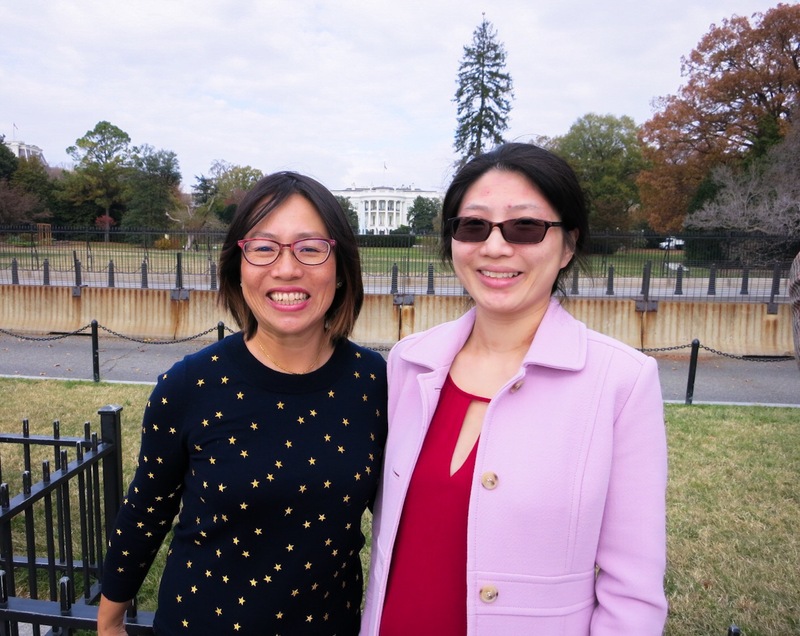 We were lucky to have fellow tourists snap a couple of photos of us with the White House in the background. While here make sure to solve the virtual cache GC2E52 (Mile Zero) for some interesting transportation trivia. The White House and many memorials are part of the National Park system which means there are some cool visitor centers to check out. They not only provide useful information but also carry one of a kind souvenirs. My favorites were the Christmas ornaments found at the White House visitors center. Each year has its own commemorative ornament recognizing a specific past president. 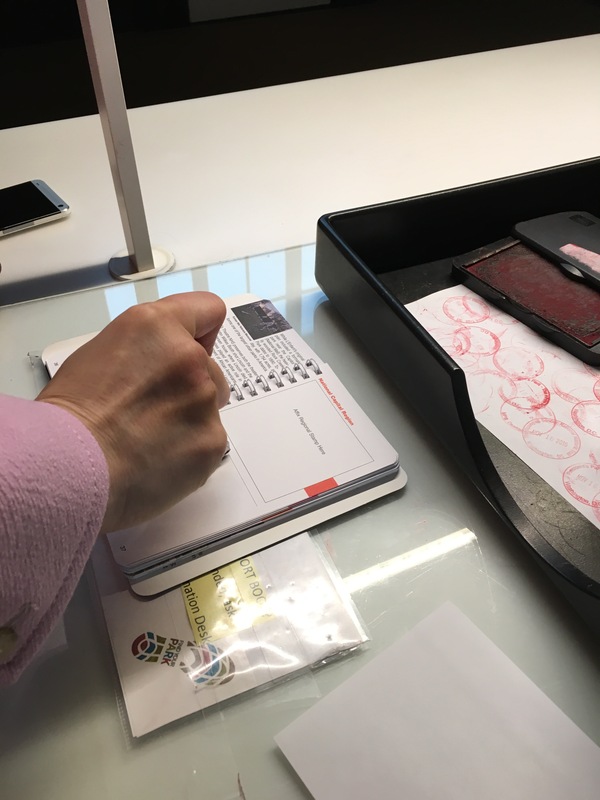 Be sure to bring your National Park passport to get stamped. 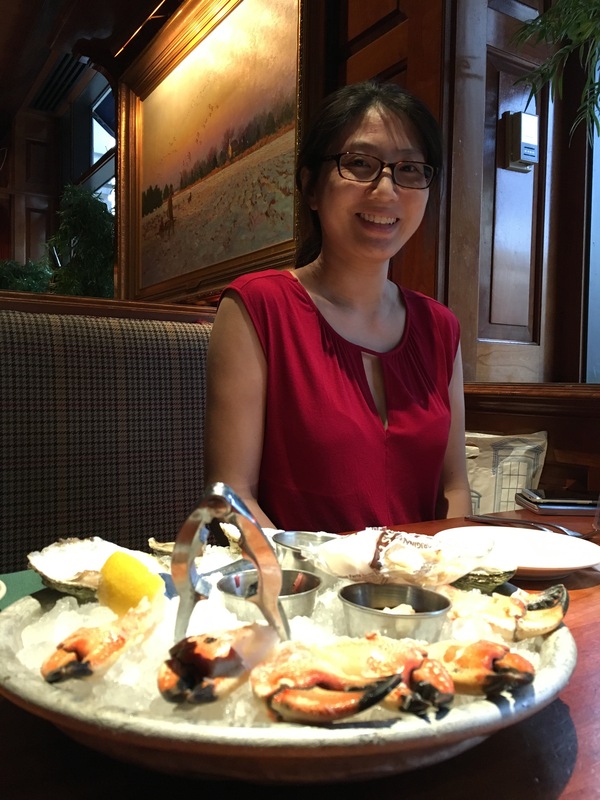 For a perfect end to a perfect day, we stopped by the Old Ebbitt Grill for a late lunch. This restaurant was established in 1856 and had been in business at several other locations prior to settling here. The dining room is classic in design and offers a perfect setting for power lunches. I suggest starting with a tray of raw oysters and crab claws followed by a plate of perfectly prepared liver and onions served with bacon and mashed potatoes. This was by far my favorite meal in DC and I cannot wait to go back. 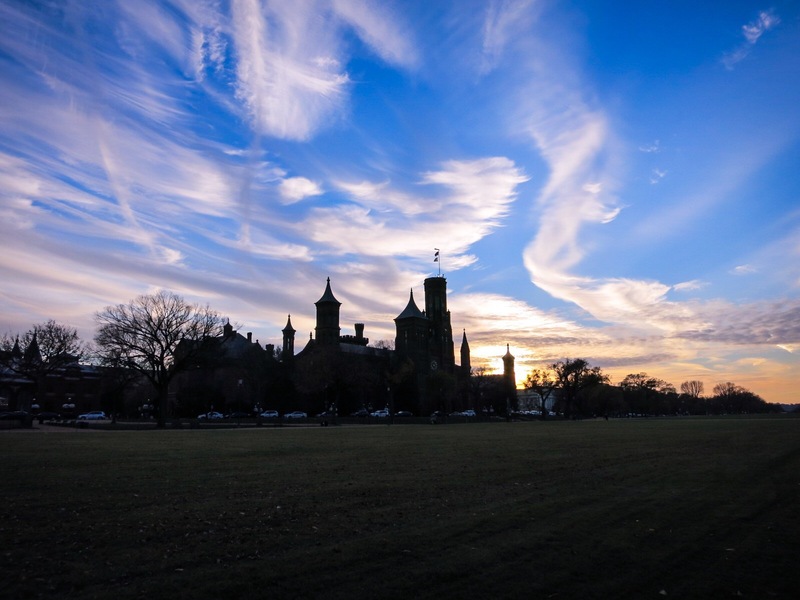 DC is one of my favorite destinations and never disappoints. There is so much amazing architecture, art, and history here that you can explore for weeks if you throw in geocaching. This was my third trip to the nation’s capital and I still feel like I have barely scratched its surface. I can’t wait for my next visit in 2017. Hey there… I feel like I was there with you!! I didn’t know there was so much to do and see other than the obvious touristy sites.. As always, thanks for sharing……. You did DC well! 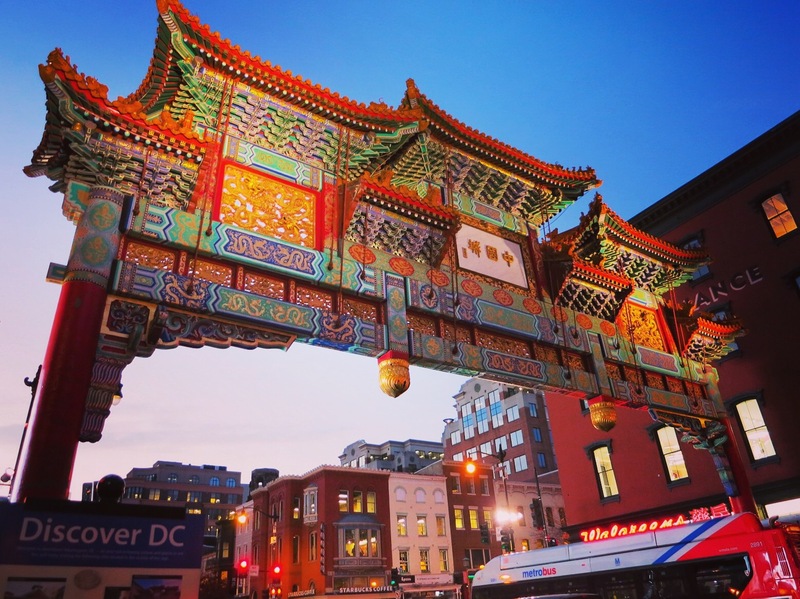 I recently spent a year living there (just left two months ago) and while I did not exactly enjoy being a resident, I do think DC is a great walking city with tons of fascinating stuff to see. Thanks! I love DC and think living there would be a lot of fun. I feel like it is the closest thing to Europe that we have given its monuments, history and architecture. I went to DC a few years back, and I loved the place! Especially the Washington Monument 🙂 Great post! Thank you! It is my favorite American city outside of my hometown. I was just there this weekend to visit my sister! Funny coincidence.